Salm Dental (New York) - Book Appointment Online! 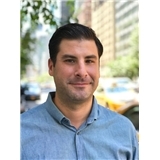 Conveniently located at 30 East 60th Street between Madison Ave & Park Ave. Dr.Adam Salm knows that dental health is not just about white smiles: it’s about having strong teeth and healthy gums. Our mission is to help our patients accomplish these goals in a painless, compassionate, and efficient way. Expert dentist! Adam Salm is highly knowledgeable and meticulous, and he applies the latest technologies in dental care. He and his assistants ensure that you feel relaxed and comfortable. Everything is clean and nicely appointed. Couldn't ask for more.